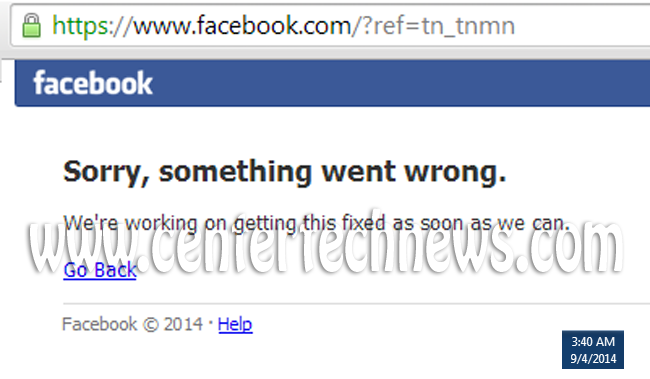 Thursday, September 4, 2014 starting 3:40 AM (Philippine Time +08:00 UTC) the most popular social media 'Facebook' was down for almost 15 minutes without formal announcement until now from facebook. Users are getting an error message when they try to navigate on the Facebook site on desktop and even on mobile. Facebook’s servers are not responding for 15 mins as per posting and users are searching to other different platforms wondering if they are the only ones having trouble or if the problems are widespread. This was not the first time and not the 2nd and 3rd that Facebook servers is not responding. 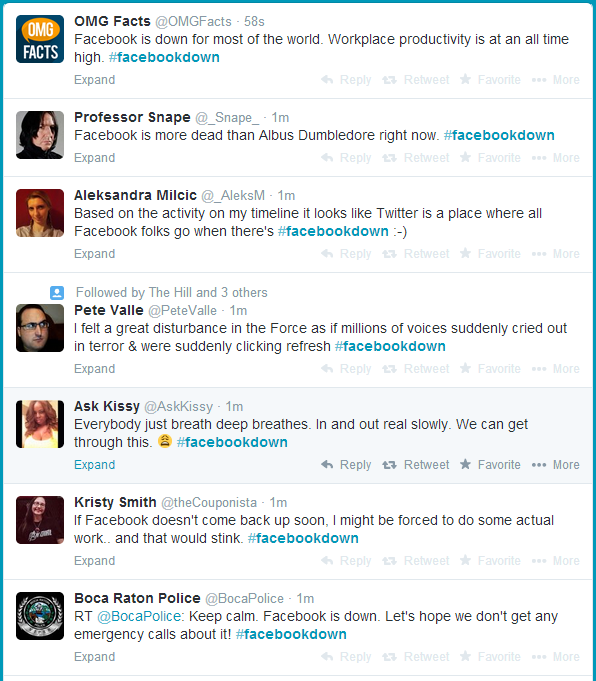 When Facebook back online the hashtag #FacebookIsDown and #FacebookIsDown trending topic on Facebook too. As of now, there is still no concrete evidence for the reason of facebook server's down. And on Twitter, there are several suggested ideas on what might be the reason for Facebook’s problem and one of them is DDos attack but there is still no confirmation on this. Here are some spotted tweet about these Facebook server down.